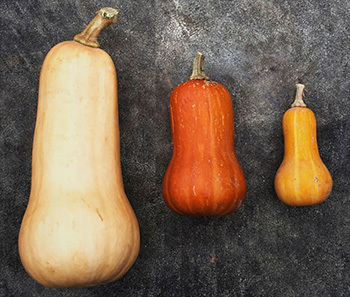 Butternut, Honeynut, and 898 squashes. Cornell plant breeder Michael Mazourek is featured in an article in the latest issue of Bon Appétit: Dan Barber Wants You to Eat Smarter, Waste Less, and Just Maybe Save the World. 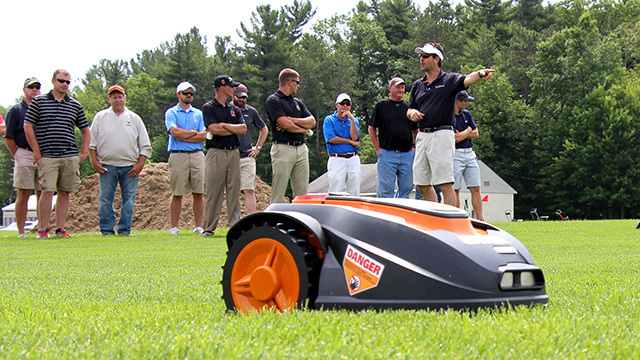 Rossi (right) explains robotic mower research at Bluegrass Lane Turf Field Day last summer. New York State Turf and Landscape Association (NYSTLA) has named Frank Rossi the organization’s 2016 Man of the Year. Rossi is an associate professor and turf specialist in the Horticulture Section of Cornell’s School of Integrative Plant Science. NYSTLA noted Rossi’s unwavering dedication to the horticulture industry, by means of continual research and education. For example, during the growing season, Rossi publishes the weekly ShortCUTT newsletter that provides sports turf, golf turf and lawn professionals with timely information on how they can manage pests and nutrients while protecting the environment. The newsletter is also available as a podcast. Rossi recently added a Best Practices newsletter to help golf turf managers adopt practices to protect water quality, and contributed to an iBook for homeowners, Lawn Care: The Easiest Steps To An Attractive Environmental Asset. In addition to his turfgrass activities, Rossi also teaches Horticultural Science and Systems (PLHRT 1101) and is the faculty advisor for the Horticulture Minor. Rossi will receive his award at NYSTLA’s Spring Kickoff meeting March 8 in Pleasantville, N.Y., where he will also speak on Lawn Best Management Practices to Protect Water Quality. College farms are important centers for learning and community on campuses throughout the country. 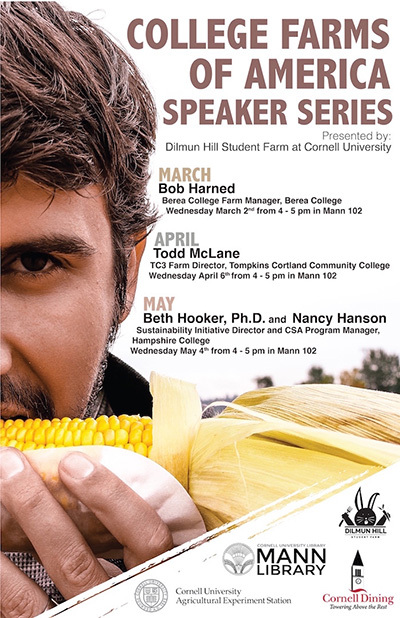 Dilmun Hill Student Farm invites you to learn about and celebrate some of the Nation’s most well-regarded college farms as we invite their members to speak about their innovative and important work, and the benefits to their students and communities that these farms provide. All three events will be held from 4-5pm, in 102 Mann Library. Free of charge, and all are welcome! Supported by: Cornell Dining, the Cornell University Agricultural Experiment Station, and Mann Library. MPS ’16 Public Garden Leadership, Cornell University and Assistant Curator of Education, Department of Horticulture, Winterthur Museum, Garden & Library and Don Rakow, Associate Professor, Horticulture Section, it’s available online. President Obama Thursday named 105 researchers as recipients of the Presidential Early Career Awards for Scientists and Engineers, the highest honor bestowed by the United States Government on science and engineering professionals in the early stages of their independent research careers. 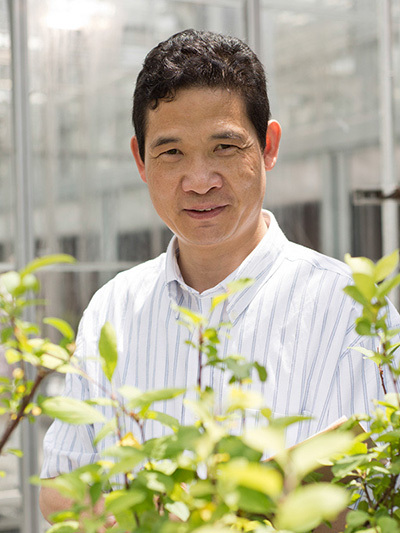 Kenong Xu, assistant professor in the Horticulture Section of the School of Integrative Plant Science, was one of only three agricultural researchers honored. Based at the New York Agricultural Experiment Station (NYSAES) in Geneva, N.Y., Xu’s current research focuses on identifying the apple genes and gene networks that control characteristics such as tree form, resistance to stress and fruit color, acidity and shelf life. This allows apple breeders to save time and money when they develop new varieties, because they don’t have to wait for apple seedlings to fruit to identify which of the progeny carry the traits they’re looking for. And they can discard undesirable seedlings at a very young stage, greatly reducing costs. “Xu is demonstrating how we can apply new insights into how plants work to make them more adaptable to a changing world and evolving consumer needs,” says Alan Collmer, director of the School of Integrative Plant Science. The winners will receive their awards at a Washington, DC ceremony this spring. If you missed Wednesday’s Messenger Lecture hosted by Thomas Björkman, A Journey into the Underbelly of the Processed Food Industry with author and investigative journalist Michael Moss, it’s available online. James Boodley, professor emeritus of floriculture and ornamental horticulture and a potting mix pioneer, died February 12 in Kent, Ohio. He was 88. 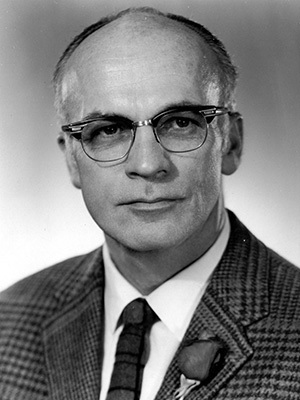 Boodley, along with Cornell colleague Raymond Sheldrake, developed the Cornell Peat-Lite Mixes – which came to be known simply as Cornell Mix – that transformed the greenhouse industry in the ‘60s. The pair based their soilless mixes on peat moss and perlite and/or vermiculite combined in various proportions with limestone, fertilizer and other ingredients to match the needs of different greenhouse crops. From poinsettias to potted bulbs and orchids to tomato transplants, these lightweight artificial soils provided good drainage, were free of weed seeds, and reduced disease problems for growers. Before coming to Cornell as an assistant professor in 1958, Boodley received his Ph.D. from Pennsylvania State University. He was promoted to full professor in 1968 and served as chair of the Department of Floriculture and Ornamental Horticulture from 1970 to 1975. In addition to developing the soilless mixes, Boodley conducted early research on the use of artificial light to speed production in greenhouses, tissue analysis to assess the nutrient status of floral crops, and chemical solutions to prolong the shelf life of cut flowers. Boodley was elected a fellow in American Society for Horticultural Science in 1982 and received numerous other awards and recognitions. After retiring from Cornell in 1983, he continued his career as manager of horticulture research and product development at the Smithers-Oasis Company in Kent, Ohio. Boodley asked that donations be made to Cornell’s College of Agriculture & Life Sciences Horticulture Excellence Fund. You can donate online or send checks (payable to Cornell University) to the Horticulture Excellence Fund, School of Integrative Plant Science, 135 Plant Science Building, Ithaca, NY 14853. 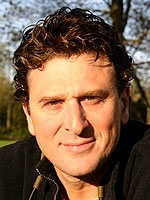 Thomas Björkman is hosting Messenger Lecturer Michael Moss on his visit to campus this week. 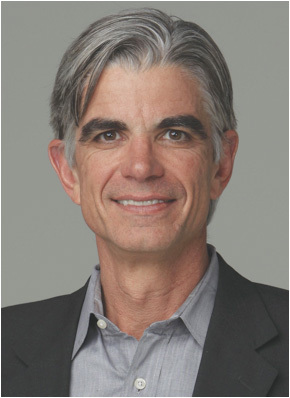 Moss is a Pulitzer prize-winning author and investigative journalist who has written many influential articles on food issues for the New York Times and other publications. His focus in the food world has been where insights have been taken to extreme applications, in particular engineering snack foods that bypass the brain’s satiety signals. Broccoli panel will be moderated by Margaret Smith and includes Moss, Sahara Byrne, Associate Professor of Communication and David Just, Professor, Food and Brand Lab, Dyson School of Applied Management. With the drought casting uncertainty on the production of broccoli in the West, growers in the East have seized the opportunity to increase their production of the crop while learning to adapt to the demands of the burgeoning marketplace. Established in 2010, Cornell University’s Eastern Broccoli Project has been leading the expansion of broccoli production in the East. Created as a long-term program, for the last five years, the project has been funded by a $3.2 million grant from USDA and an additional $1.7 million from various commercial partners, with a recent proposal submitted to secure funds for the coming five years. American Vegetable Grower® connected with Thomas Björkman, the project’s director, to get an update on project’s status and details on the challenges of Eastern broccoli production. The rebuilt Liberty Hyde Bailey Conservatory Greenhouse opens Feb. 9 as Cornell continues the botanical legacy of engagement and discovery established by the first dean of the College of Agriculture and Life Sciences. The 4,000-square-foot facility at 236 Tower Road features modern equipment designed for increased energy savings and improved plant growth. 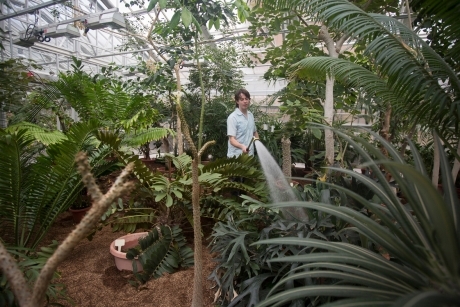 But the spirit of the conservatory remains fixed on the ideals of education and outreach, says Professor Karl Niklas.